Nawaloka Hospital that revolutionized private hospitalization and healthcare having set up the only state-of-the-art hospital in 1985 celebrated 25 years of caring for human lives. Nawaloka hospitals brings to Sri Lanka a world class healthcare experience. In celebration of this milestone of achievement over 100 nurses fully trained by the Sri Lanka Nursing Association joined the Nawaloka staff that promises the best in medical care to all their patients. Nawaloka Hospitals offers a comprehensive range of medical services with over 200 highly qualified specialists using the latest medical technology for the ease of all patients and patrons and is equipped with tomorrow’s technology for precision diagnostics and care. Over 85 consultation rooms are made available located at the ground floor to meet these specialist doctors covering almost all areas of medical emergencies at the hospital ranging from on call Consultant Physicians, Paediatricians, Eye Surgeons, ENT Surgeons, Gastroenterologists, Cardiologists/Chest specialists, Obstetricians and Gynaecologists, Rheumatologists, Oncologists (Cancer Specialists), Nephrologists, Neurologists and Orthopaedic Surgeons to cover all medical emergencies throughout the day. 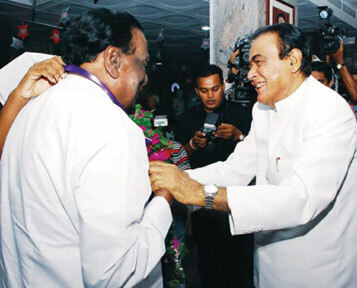 Since its inception and inauguration in 1985 by H K Dharmadasa, and his successor Nawaloka Hospitals Deputy Chairman Jayantha Dharmadasa to date maintains the same integrity and its passion for medical care and has moved with the times by constantly bringing world class medical treatment technologies to many Sri Lankans. This event was graced by the Prime Minister D M Jayarathna, Health Minister Maithreepala Sirisena and many distinguished invitees and guests. “It is indeed a great honour that we have been certified as the only ISO accredited hospital in Sri Lanka and it is such a privilege to have all you eminencies patronizing this wonderful event. I’d like to congratulate and acknowledge my staff for all their efforts having played an integral part towards achieving this honour,” H K Dharmadasa said. Sri Lanka Telecom (SLT), embarked on a series of book distribution programs during September, to commemorate International Literacy Day. These book distribution programs were conducted under SLT’s major CSR initiative, Spreading the wealth of knowledge, conducted in collaboration with the Asia Foundation. 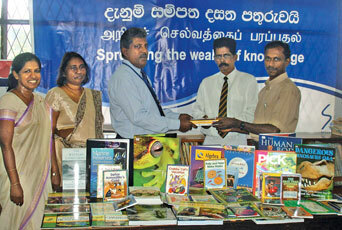 The first of these programs, which was conducted recently in Galle, provided a range of books to libraries of five schools - Batemulla Maha Vidyalaya, Pilana Vidyarthodaya Vidyalaya, Hapugala Maha Vidyalaya, Meepawala Amarasooriya Vidyalaya, Sangamitta College, Mahinda College and Karapitiya Hospital. Books were distributed on a wide range of subject areas including English Language, Geography, Science, Mathematics etc. The other programs organized for the month will aim to spread the wealth of knowledge to schools and public libraries in all parts of Sri Lanka. Low literacy is a major concern the world over. According to UNESCO, today, one in five adults is illiterate, out of which two thirds are women; almost 75 million children do not attend school, or attend school irregularly, only to drop out very early in their years. Literacy is a basic human right and is at the heart of social and human development. Thus the UNESCO set September 8 as a global day of observance to mark the International Literacy Day with the aim of raising awareness amongst the public on the importance of literacy. SLT together with the Asia Foundation has been conducting these programs since the year 2004, being committed to addressing the needs of primary and secondary education through this program. Through the provision of books and other educational material to schools, libraries and other learning academies, SLT helps students to improve their literary skills by adopting a reading culture. It also helps educators and schoolteachers to improve vocational and research skills. SLT considers these book programs as an important investment in the community, providing access to information, education and English Language skills for students, teachers and professionals. JKH Consumer Foods Sector continued its winning streak in the Sri Lankan food and beverages manufacturing sector in 2009 when Elephant House and Keells Food Products bagged Bronze and Silver awards at the prestigious National Chamber of Exports Awards respectively. This award also recognizes the company’s continuous commitment to grow the local exports industry. Elephant House exports its ice cream to the Maldives while holding the market leader position in the Maldives with a market share over a 40 percent. Keells Food Products sends its products to India, the Maldives and Seychelles. The award was given after evaluating the financial performance, volume growth in exports and new markets developed by the respective entities. 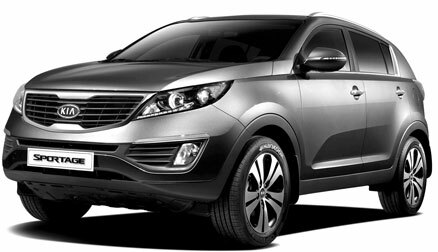 A new marque in motoring style, machismo and performance made its debut in Sri Lanka yesterday with the launch of the 2011 Kia Sportage, an all-new compact SUV that is destined to be a head turner on local roads. The New Kia model instantly recognizable by its distinctive “tiger face” — Peter Schreyer’s signature grill design — greeted guests on the lawn of Waters Edge. The new Kia Sportage is the first model from the Korean maker to be designed from scratch by Chief Design Officer Peter Schreyer, the former Audi Chief and a man renowned for some benchmark designs such as the T.T. Kia Motors (Lanka) Limited, the brand’s sole distributor in Sri Lanka said of the category: “One can question the purpose of an SUV but it is one of the most in demand in the market. Everyone seems to want one. Designer Peter Schreyer has said of the new model: “With new Sportage we have achieved a radical departure from the previous generation model — it is sleek, rakish and modern — while successfully balancing what the market would accept, what current owners would buy and what consumers new to Kia will expect.” “There is a lot to like about the Kia Sportage,” said Kia Motors (Lanka) Limited Managing Director Mahen Thambiah. “It’s a well-judged package in terms of its drivability, equipment levels, pricing and the usability of its cabin. It has excellent ride and handling with light steering at low and high speeds, and its new engines deliver outstanding fuel consumption. It could well be best in class,” he said. “The Sportage’s classic SUV character will appeal to many buyers,” he said. “A big soft, high riding car that is easy to drive, affordable to buy and own, and with a three year/100,000 km warranty, the new Kia has all the appeal that many more conventional rivals lack,” he said. Kia Motors (Lanka) Limited is a wholly-owned subsidiary of Colonial Motors, a company that has been in the automobile business for more than a century. Since it commenced representing Kia in Sri Lanka in 1995, Kia Motors has sold more than 1,000 first and second generation models of the Kia Sportage, and says it is confident that the new third-generation Sportage will sell more than this number in its first year. One of Sri Lanka’s oldest commercial establishments George Steuarts celebrated its 175th anniversary with a call by the Chairman Jayantha Wimalagooneratne to the gathered Steuartians who were present, to ready for another exciting journey of 175 years and beyond. Founded in 1835, George Steuarts has for long upheld very stringent values, principles and ethics and it was this, he said, that must continue to be the foundation of the next phase of the Group. Speaking at a ceremony at the Hilton Colombo in the presence of past chairmen, directors and other stakeholders, Wimalagooneratne, flanked by the busts of founders Captain James and George Steuart, relived some of the memorable moments of the Group’s past. The Chairman also recalled the relationships nurtured with three great institutions, two spanning over a century and one over eight decades. “F J and G De Saram’s have been our lawyers since the inception of De Sarams in 1841 and that unique relationship has continued to date for 169 years,” he said. Chief Guest, British High Commissioner Dr Peter Hayes who was presented with a commemorative volume of the George Steuart Story penned by Manel Abhayaratne and a team led by Group Deputy Chairman K Neelakanthan further augmented the raison d’etre for George Steuarts longevity. “George Steuarts is founded upon the good Scottish virtues of honesty, integrity and hard work. But the company has also demonstrated the toughness in adversity for which the Steuart clan is famous. It is these qualities that have seen the company survive and prosper through good times and bad over the past 175 years. 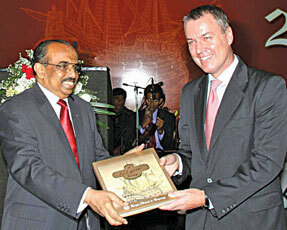 They are a great British success story and a great Sri Lankan success story,” he said. The commemorative volume which was presented to all guests present that evening has the unique feature of being culled from handwritten journals that meticulously recorded the entire journey of George Steuarts from as far back as the early 1820s. Hundreds of school-going children rebuilding their lives in the post-conflict Wanni region will receive essential IT education thanks to a community project launched by the Hayleys Group and its employees. Donations of a day’s salary by employees across the blue chip conglomerate doubled by matching contributions by their respective companies have paid for two fully-equipped computer training centres at the Mullaitivu, Mallavi Yogipuram Maha Vidyalayam and the Kilinochchi Poonekary Maha Vidyalayam. 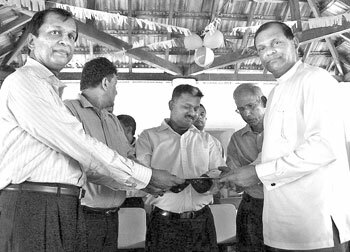 The first of these two centres equipped with a duplicator machine, eight new computers with UPS units, a printer, multimedia projector, wall screen, white board, 4mb flash drives, and all software licenses, was handed over to the school recently in the presence of Northern Province Governor Major General G A Chandrasiri. The second IT Centre in a building constructed by Hayleys for Poonekary Maha Vidyalayam is equipped with ten computers and the equivalent number of UPS units, a printer, multimedia projector and screen, computer tables and chairs and a whiteboard. It is expected to be complete in November. The cost of these two projects alone exceeds Rs 3.7 million in terms of materials and equipment, the Group said. The donation of a duplicator machine to the Yogipuram Maha Vidyalayam IT Centre would also benefit ten schools in the area, enabling them to print their examination papers. The school is the first in areas once controlled by militants to receive comprehensive IT training facilities, and the Hayleys Group has extended its commitment to the institution by offering to train two teachers to become competent IT trainers. “We are confident that our efforts will have a potentially life-changing impact on the education and prospects of school children in these neglected regions,” said Hayleys Group Human Resources Head Sunil Dissanayake at Hayleys who led Group representation at the handing over ceremony. HNB has successfully concluded a pioneering consulting study on the emerging market for Cards (Credit and Debit) in Sri Lanka, based on which the bank has already taken steps to roll-out some innovative strategies that will further strengthen HNB’s position as the leader in the PFS (Personal Financial Services) Domain. The consulting project was conceptualized, researched and delivered by the Corporate Finance arm of Bahrain-based MTI Consulting. At the project conclusion, HNB MD/CEO Rajendra Theagarajah, commended MTI for their effective consulting approach, the innovative research methodology and for the value it has delivered to the bank. MTI Consulting has a growing financial services practice in Sri Lanka and internationally, including experience with the likes of LOLC, NSB, BOC, HNB, NHBA, Union Bank, Sanasa (in Sri Lanka) and internationally with the likes of American Express, Ahli United, Arab Financial Services, ARIG, Bahrain Saudi Bank, Bank of Bahrain and Kuwait, Bahrain Islamic Bank, Bahrain Kuwait Insurance, Bahrain National Insurance, BMI, Citibank, Credimax, Daman, Grameen-Ceylinco, HSBC Amana, Isthithmar, National Bank of Bahrain, National Finance House, Middle Sea, Orix Leasing, SG, Standard Chartered and Solidarity Takaful.